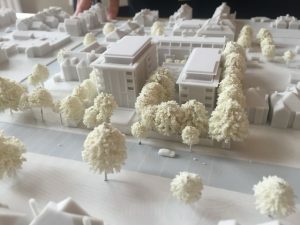 Angry neighbours yelled at councillors and consultants as planners discussed – and approved – a scheme for 45 new homes and a synagogue in Hove. 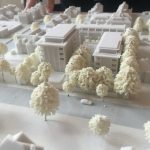 They shouted from the public gallery as members of the planning applicant’s team answered questions from members of Brighton and Hove City Council’s Planning Committee at Hove Town Hall. The noise started early in the meeting over speaking time for objectors. One neighbour asked for extra time to speak after his fellow objectors. But his request was refused because the council’s rules allow three minutes for each side – objectors and supporters – to put their case. People living near the synagogue in New Church Road, Hove, protested outside the town hall before heading inside where members of the Jewish community were also present to hear the plans debated. Brighton and Hove Hebrew Community applied to replace its existing synagogue, community hall, nursery, co-working space, school rooms, underground car park and rabbi’s house with a new complex. The plans include 35 flats and 10 town houses at the back of the plot, in four, five and six-storey blocks. A privacy screen and obscured glass will be fitted to make sure people moving into the flats cannot look into the grounds of the neighbouring St Christopher’s School. The new synagogue would be a single-storey but double-height building at the back of the plot. Currently the site includes two villas housing the Rabbi and nursery, plus the synagogue at the rear. Planning consultant Ian Coomber, representing neighbour Julia Besser, who lives in Pembroke Gardens, said that she would lose 35 per cent of her light. When asked for details about the impact of the loss of light, Mr Coomber said: “BRE guidelines say the impact of 35 per cent loss of sunlight is considerably significant. Neighbour Paul Spirou reminded the Planning Committee that there were more than 700 objections to the “draconian development”. He said that St Christopher’s would be severely affected, neighbours would be overlooked and they would suffer loss of light from the overbearing scheme. Westbourne ward Conservative councillor Denise Cobb received a round of applause after speaking against the scheme. 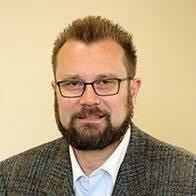 Councillor Cobb said: “In my 20 years as a councillor I have never seen a scheme with such depth of opposition. She said that tree preservation orders covered 22 trees on the site and should be a deciding factor in turning down the plans. Independent councillor Michael Inkpin-Leissner and Conservative councillor Carol Theobald also asked how many commenters were local. They were told that the information could not be revealed because of “GDPR” data protection rules. Brighton and Hove Albion chairman Tony Bloom also received a round of applause for his passionate speech in favour of the planning application. The Hebrew community is working on the scheme with his charity, the Bloom Foundation, which the committee was told would make an £8 million loss on the project. He said: “The site was on the verge of being sold to a commercial developer, threatening the survival of the Jewish community. Conservative councillor Andrew Wealls, who represents Central Hove, asked about the situation with St Christopher’s School. He said that the site offered classrooms yet there were objections about overlooking and loss of amenity. He was told that the windows are angled away and would be looking towards the sea, not towards the playground. While there were concerns, the school was described as supportive. The other Central Hove councillor, Clare Moonan, asked about light into the school. The Labour councillor was told that no classrooms faced on to the synagogue site, only toilets and other utility rooms. 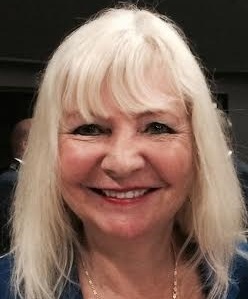 Conservative councillor Jayne Bennett asked if all the houses would be available to all. She was told that they would be, although five of the home would be classed as “affordable” and would be let through a Jewish housing association. Green councillor Phélim Mac Cafferty asked about the long-term future of the trees of the site because the council’s arboriculturist said that there would be considerable root damage to 12 protected trees. He said: “This is putting a quart in a pint pot. This is asking too much for a relatively modest-sized area to deliver. The council tree expert was not available but the developer’s arboriculturist said that the the root systems along the eastern boundary were taken into consideration and the “thrust” of the scheme was to retain them for the long-term future. Four are due to be removed from the site with all others remaining. If any are damaged, the council has secured a commitment to replace each one with three. 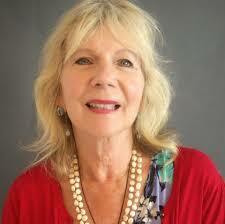 Goldsmid ward Labour councillor Jackie O’Quinn said: “In my ward we have had incidents of anti-semitic graffiti. “What recommendations have the police made with regard to security in the area? She was told that Sussex Police had said that the development was secure by design. Parking permits came up but councillors were told that there was plenty of parking available in the area and that the plans were in line with council policy. 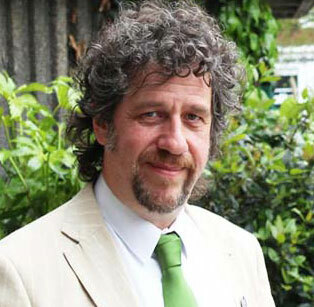 Green councillor Leo Littman said that he felt sad at the “dilapidated” state of the site as he had had his Bar Mitzvah at the schul and had a close family connection to the synagogue. He said: “It is desperate for development but this is two villas and a synagogue making way for 45 dwellings which is inappropriate for the site. Conservative councillor Joe Miller said that the schul was “an amazing space” and welcomed the affordable housing. The planning application was granted by seven votes to five. Councillors Lynda Hyde, Joe Miller, Andrew Wealls, Penny Gilbey, Clare Moonan, Julie Cattell and Michael Inkpin-Leissner voted in favour of the scheme. Councillors Carol Theobald, Jayne Bennett, Leo Littman, Phélim Mac Cafferty and Jackie O’Quinn voted against it. I am surprised GDPR was used as justification for not revealing how many commenters were local. GDPR would likely only prevent you from revealing precise details of where people live, thier names or if there were only small numbers of people in a group that could identify them. It would be entirely within GDPR rules to give figures on the percentage of commenters who lives within the same ward or within a set distance, provided it was more than say 2 or 3. What is more likely, is that someone at the council decided on arbitrary rules to prevent these sorts of questions being asked, or that they do not wish to spend the time necessary to answer them. If I were the councillors who asked this, I would be pushing again for a better answer. ‘Because GDPR’ is not acceptable in this case. This sets a very worrying precedent for the loss of similar houses along New Church Road which, what’s more, as cllr Mac Cafferty said, is area noted for its array of trees. The question about security raised by Cllr O’Quinn was not answered entirely accurately by Nicola Hurley. The police have a form letter they either just sign or add to. The 9th August 2019 letetr from Phil Edwards for Sussex Police sent a 2 page form letter with comments about challenging vehicle issues on the 2nd page. In other words he has yet to see crime prevention details! Little does he know it is not an outline decision – consent is a Given now. Good decision. The Jewish community of Hove makes an important contribution to this city and will continue to do so. 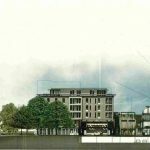 Thank you Tony Bloom – first you gave us a football ground, now the Brighton and Hove Hebrew Community will have a new synagogue, school and homes. What a wonderful legacy you are making. Fantastic news & a wonderful & thoughtful design. Wonderful news. Tony Bloom and his planning team listened and modified the plans on several occasions at great expense so that it was the best scheme for the site. 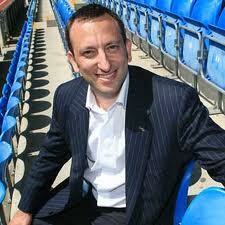 The promise of Tony Bloom to replace any damaged trees will be honoured, I know from my experience. The main objector produced a very poor presentation and clearly it became obvious that the objections were not supported on the objections raised.